This is the fourth chapter of The Architects Guide to Choosing the Right Carpet. Carpet tiles, also known as modular carpet, are a versatile flooring option growing in popularity for commercial projects of almost every type. Cut from wall to wall carpet (usually tufted) carpet tiles are most typically available in a range of square sizes – 48 x 48, 50 x 50, 60 x 60 and 96 x 96cm – and also in ‘planks’, which are long rectangular shapes. Some manufacturers also offer hexagons or triangles among others. For projects requiring a large amount of custom design or for very large spaces, wall to wall carpet offers unmatched design versatility. For almost all other purposes, carpet tiles are a lower cost alternative that can still be used to great effect and with most or all of the benefits from wall to wall. Carpet tiles can be installed in numerous configurations to create different effects. Most commonly, the same tile in either a solid colour or a simple pattern, is used for the room. But more “out of the box” uses are gaining popularity, like using patterned tiles for traffic areas and solid colours to delineate break-out areas, for example, or changes in colour and pattern for wayfinding, such as indicating where people should form a queue. Seams between carpet tiles can be disguised or accentuated, depending on the overall effect desired and the modularity of carpet tiles makes them an amazing creative tool for architects and interior designers to play with. We recommend you to order some samples so you can play around on site with different sizes, colours and patterns, you´ll find plenty here. All these factors make carpet tiles ideal for projects on a tight budget or tight timeline. If wear and damage occur, individual tiles can be readily removed and replaced from excess stock ordered for this purpose, rather than replacing a whole carpet or undertaking expensive and difficult spot repairs to wall to wall carpet. Tiles can be readily lifted if access is required to the substrate floor beneath. This allows technicians to easily gain access to underfloor cabling if needed, an advantage in spaces such as conference halls and agile workplaces that are constantly subject to change. 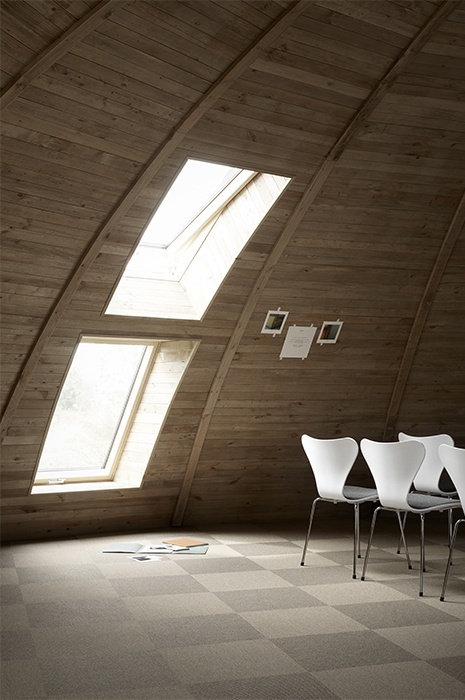 Today’s carpet tiles offer practically all the warmth, comfort and health and safety benefits of wall to wall carpet. 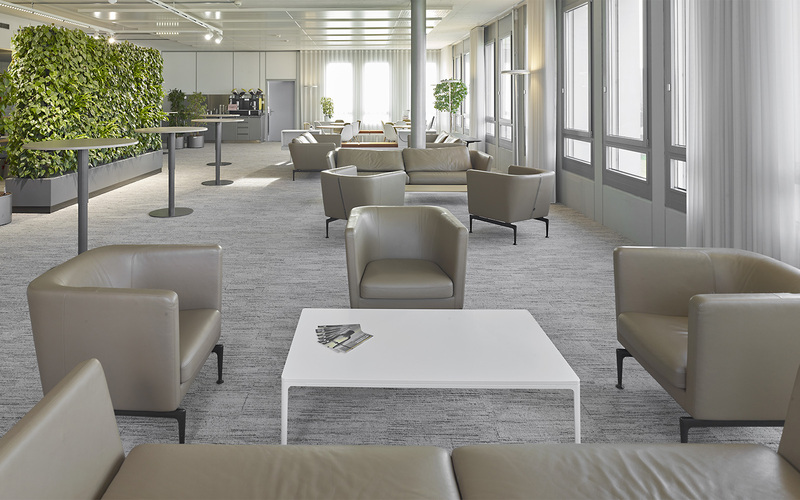 They may lack the wider options for custom design, but carpet tiles definitely have their own advantages and can readily be used to striking effect in most commercial and institutional projects, as the inspiring images throughout this guide show. 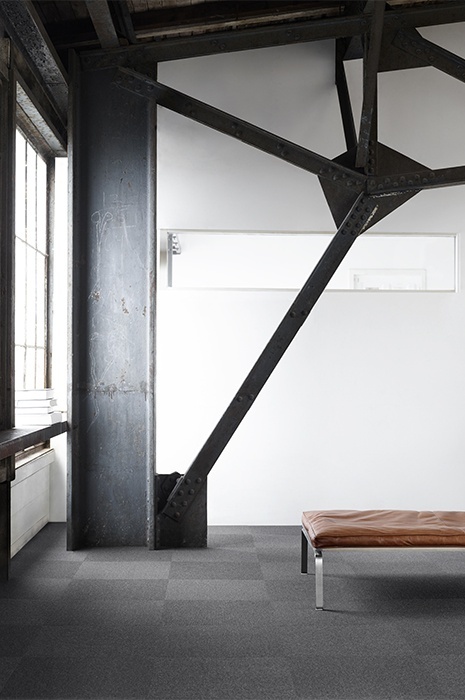 Maybe it’s time to get creative with carpet tiles for your next interior project? 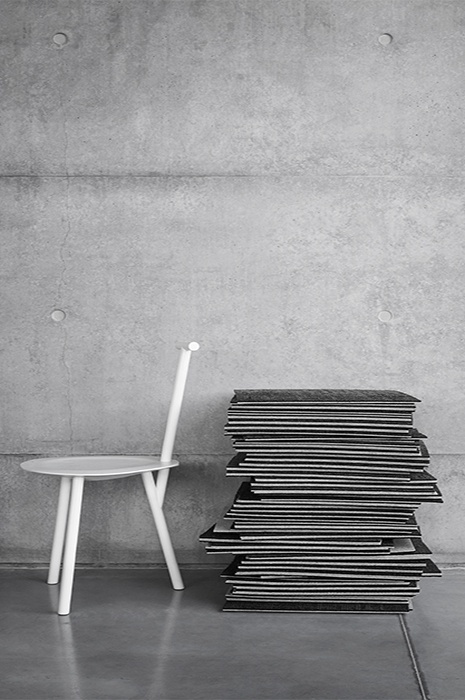 Stay tuned for our next blogpost, where we´ll tackle the vital questions you should ask your client before specifying the flooring for their project. For projects requiring a large amount of custom design, custom wall to wall carpet offers unmatched design versatility. For large open spaces, pre dyed standard wall to wall carpet is also a reasonably cost-effective choice. For almost all other purposes, carpet tiles are a lower cost alternative that can still be used to great effect and with most or all of the benefits from wall to wall.